During an Axios event Friday that focused on the national gun debate, Marjory Stoneman Douglas High School student David Hogg was asked by Axios co-founder Mike Allen what the media’s biggest mistake was during the shooting at his school in Parkland, Fla. He responded that media outlets failed to highlight the voices of his black classmates, according to Newsweek. He also said that his school felt “like a prison” after school officials upped security measures. This week, his school announced that it would require students to wear clear backpacks after spring break. 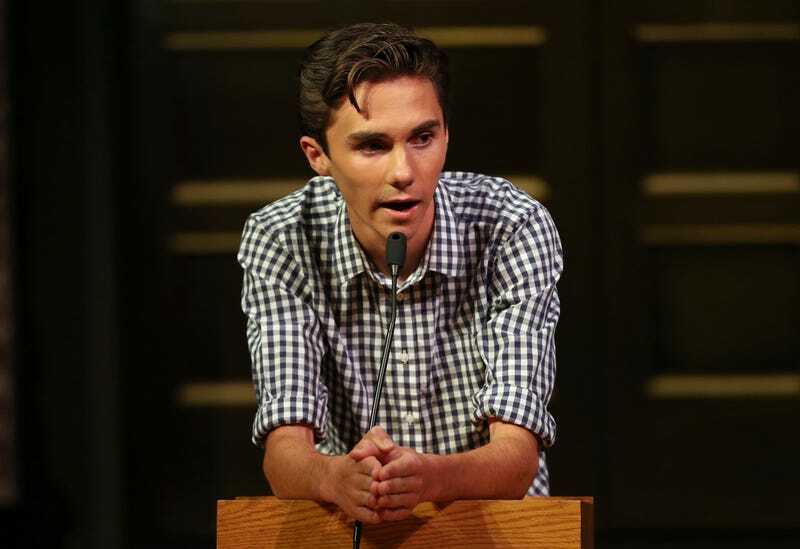 Today, Hogg is one of the many students leading the March for Our Lives rally in Washington, D.C. Other rallies are taking place around the country and the world. National media outlets have been sharply criticized for the unequal coverage of black children who suffer from school shootings, as opposed to those in Parkland, most of whom are not black. Leading the way in those critiques are the Parkland students themselves. Last Saturday, a group from Stoneman Douglas High School traveled to Chicago to talk with high school students there about ways to address gun violence, according to the Chicago Sun-Times. People of color in this country, in this culture, tend to not matter as much as those who are white; that is the truth of America. In the Black Lives Matter movement, young black people have been shouting from the rooftops until their voices are raw and hoarse, and America hasn’t listened. But now that it’s white kids who are shouting at the tops of their lungs, people pay attention. We’re in deep trouble in this country, and the Parkland kids know it. So far, thousands of students across the nation are marching for better gun laws, doing the jobs of NRA-backed elected officials—many of whom may get booted out of office once the teens reach voting age.